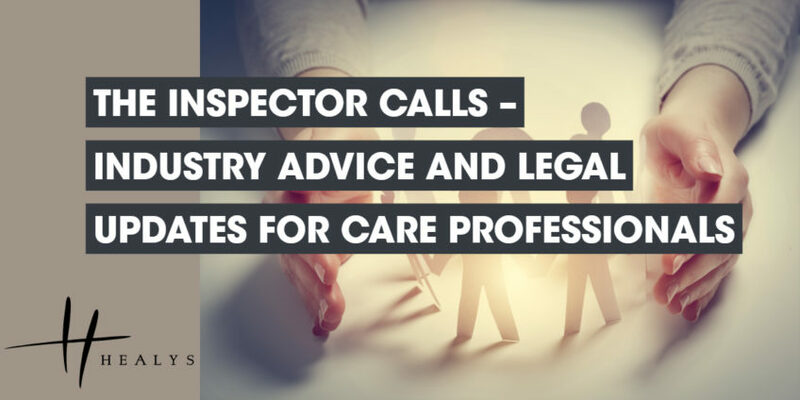 On Thursday 14th March, The National Care Association hosted its first ‘The Inspector Calls’ event at the Hallmark Hotel Bournemouth East Cliff, in Bournemouth. Representing small and medium sized care providers and affiliated local associations, National Care Association is a leading body that liaises with national Government at a political and departmental level, Local Government and key stakeholder groups including the NHS and CQC to support care employers and employees. Care home owners and managers were invited to this event to receive business and legal updates by industry professionals. This conference provided care experts with advice and guidance on recent developments in the care industry, in addition to supporting delegates towards ongoing training requirements. It incorporated a range of topics from the profession’s leading organisations and speakers, including The Home Office, Healys LLP, The Nation Care Association, and BKR Care Consultancy. Speakers included; Event Chairman, Nadra Ahmed OBE Executive Chairman National Care Association; Bhavna Keane-Rao, Managing Director of BKR Care Consultancy; Allison Grant, Partner and Head of Employment at Healys; and Ivon Sampson, Partner and Head of Immigration at Healys. Speakers discussed a range of current and informative topics to support care professionals with training requirements but to also answer questions at a time of economic uncertainty. Delegates were encouraged to engage with the speakers on current matters of concern, which included Brexit and the legal implications surrounding immigration and the right to work in the UK, legal advice for employers and employees, as well as tips on how to positively manage an inspection. The next ‘The Inspector Calls’ event will take place at the Cheshunt Marriott Hotel, in Enfield. Please note spaces for this event is limited, so secure your place today by clicking here. For more information about this event, or any of the products and services available by legal experts Healys, visit our website and follow us on Facebook, Twitter or LinkedIn. Alternatively call Healys directly on 020 7822 4000 or email us at info@healys.com to speak to one of our dedicated team today.